New construction. Stucco and stone exterior. 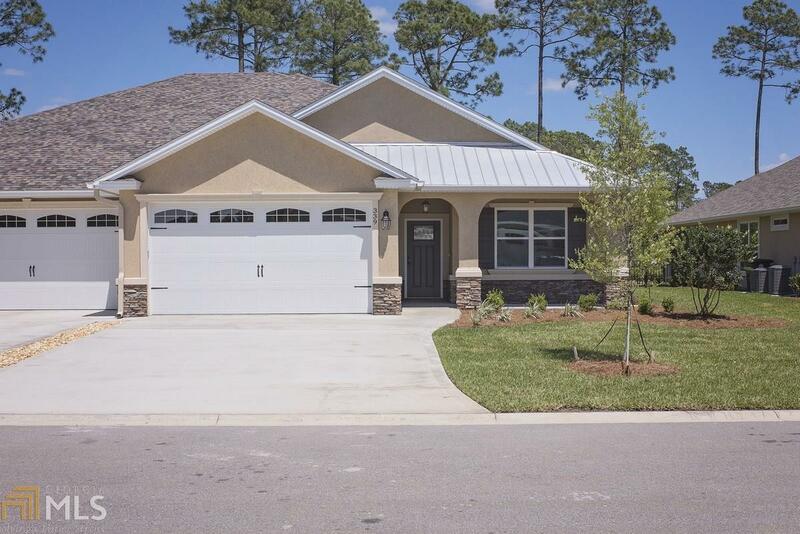 Located on on the on a 16th hole of Laurel Island Links in Laurel Landing. Large backyard. Custom cabinets with 3cm quartz in kitchen, LED recessed lighting, under cabinet lighting, stainless appliances and tiled back splash in kitchen. Large walk in pantry with wood shelves in kitchen. Large Laundry room with wood shelving. Tile floor everywhere except bedrooms, which are carpet. Master bath has a 6&apos; walk in tile shower. Six foot garden tub, double vanities in master. Master suite has two large walk-in closets. Garage is finished with t1-11 and has ample flooring above for storage. Lawn care is included so you will have plenty of time to enjoy the amazing view on your large lanai.